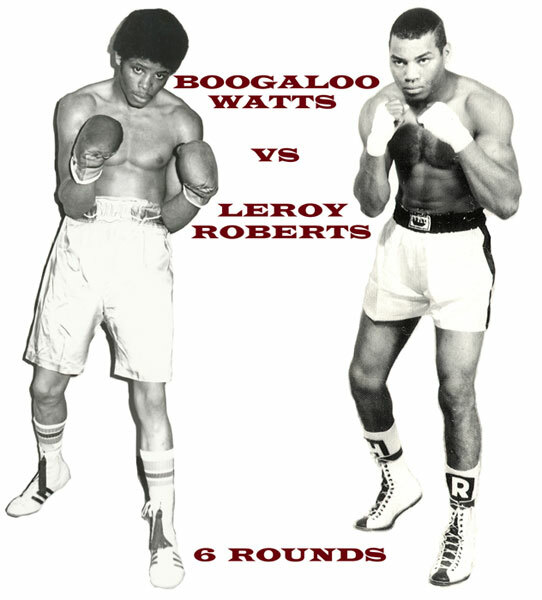 On this day in 1969, Bobby "Boogaloo" Watts improved his young pro record to 5-0 with a clear-cut points win over veteran Leroy "Hurricane" Roberts, who came into the fight with a 13-8 slate. Watts, still in his fist year as a professional, was a few years away from the sweet spot of his career, but this was a very good win for such a young fighter. The fight was the semi-windup bout on a Blue Horizon card headlined by Sammy Goss. In the main event, Sammy Goss, also in his first year of ring work, used a brutal body attack to wear down and stop Ivelaw Eastman of Guyana in round seven. Goss raised his record to 9-1 with 5 KOs. This was the second fight between the two. Goss won the first match by decision three months before. Also on the card that night, Eugene "Cyclone" Hart won his second straight pro bout by knockout with a first round KO of Sonny Gravely. Hart would extend his KO streak to 19 in row over the next two years. The fight card - the second show promotion by 22-year old upstart J Russell Peltz - attracted a crowd of 919 fans who paid a gate of $2,476.